In post-Obergefell America, Evangelicals and other orthodox Christians will be unable to outrun our freakishness. That is no reason for panic. Some will suggest that a Christian sexual ethic puts the churches on the “wrong side of history.” Well, we’ve been on the wrong side of history since A.D. 33. The “right side of history” was the Eternal City of Rome. And then the right side of history was the French Revolution. And then the right side of history was scientific naturalism and state socialism. And yet, there stands Jesus still, on the wrong side of history but at the right hand of the Father. 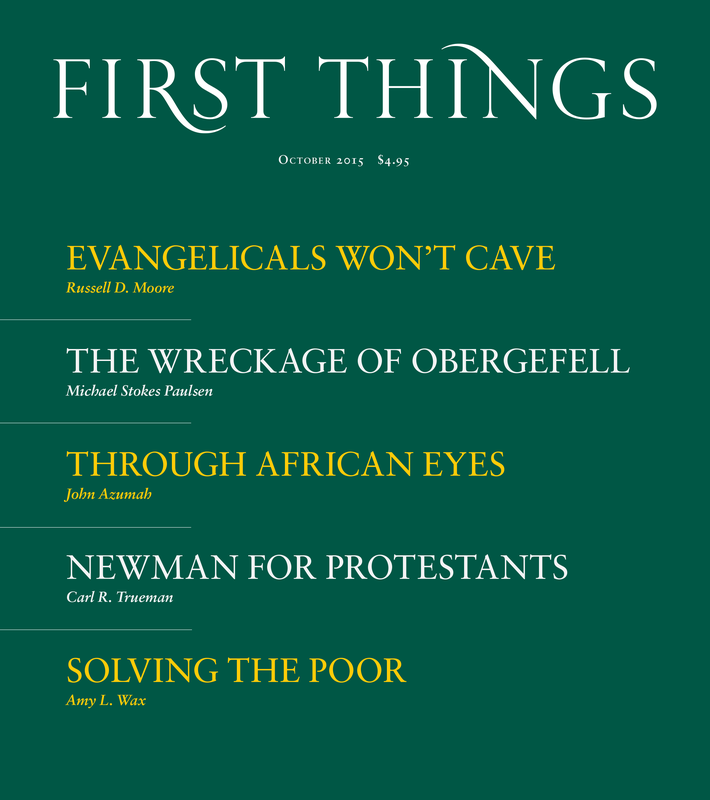 Interesting article by Russell D. Moore in the current issue of First Things (“Evangelicals Won’t Cave: Why evangelicals will not be surrendering to the sexual revolution,” October 2015 (http://www.firstthings.com/article/2015/10/evangelicals-wont-cave). Just in case anyone is checking here rather than on the normal news sources, the Supreme Court did not issue the Obergefell v. Hodges opinions today, however, they announced that they will issue some more case opinions on Thursday at 10:00a. They will also likely issue case opinions next Monday. Apparently everything has been issued except the Texas Fair Housing Act case, the Arizona redistricting commission case, King v. Burwell, Michigan v. EPA, Johnson v. US, Obergefell v. Hodges, and Glossip v. Gross. You may want to go to SCOTUSblog (http://www.scotusblog.com/) for additional detail and analysis.